INDIANAPOLIS -- Mike Pence will use Ronald Reagan's family Bible when he's sworn in as Donald Trump's vice president Friday, the first person to use the Bible during an inauguration ceremony since the former president himself. The former Indiana governor said in a statement that it is "humbling" to use the 40th president's Bible when Supreme Court Justice Clarence Thomas administers the oath of office. "President Ronald Reagan placed his faith in a loving God and the goodness of our country. He set out to change a nation and in doing so, he changed the world. In the march of history, Ronald Reagan's time in office was limited, but his legacy inspired a generation and will continue beyond," Pence said. Pence credits Reagan for his own conversion to the Republican Party in the early 1980s, after growing up a Democrat in his hometown of Columbus, Indiana. He also emulates Reagan's "happy warrior" rhetorical style and often quotes the former president during speeches. The Bible, which was also used was when Reagan was sworn in as governor of California, is being transported from the Ronald Reagan Presidential Library in Simi Valley, California, by former aide Andrew Littlefair. Once it arrives in Washington, it will be kept under lock and key. 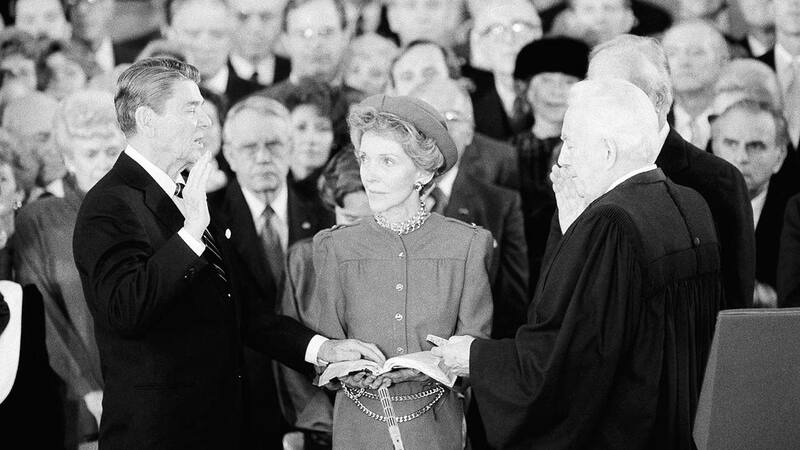 When Pence takes his oath of office Friday, the Bible will be open to the same verse, II Chronicles 7:14, as when Reagan was inaugurated president. It's a Bible passage Pence frequently quoted at rallies across the country during the presidential campaign: "If my people, which are called by my name, shall humble themselves, and pray, and seek my face, and turn from their wicked ways; then will I hear from heaven, and will forgive their sin, and will heal their land."